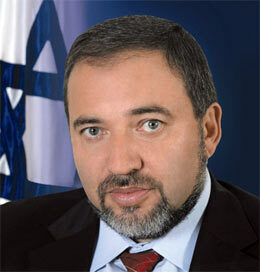 Today, Israel’s very own hatemonger, Avigdor Lieberman, from the obscurity of his forced suspension from his post as Foreign Minister on corruption charges, raises the Holocaust specter, though this time on much more specious (though, I certainly grant, not entirely non-existent) grounds. Of course, Erdogan didn’t produce the evidence, but his accusations will carry weight in some circles, since it has been widely reported, from more reliable sources, that Israel’s US agents in AIPAC have been lobbying heavily, along with their Saudi and other Gulf-based counterparts, for the US to support the Egyptian military’s crackdown on Muslim Brotherhood, and other, protesters. That harsh behavior has already cost at least 850 lives, from current reports. Still, there is no reason to believe Israel had anything to do with the initial coup, although the Supreme Council of the Armed Forces (SCAF) in Egypt has maintained, even strengthened, ties with Israel since the ouster of Hosni Mubarak in 2011. If it had anything to do with it at all, it would have been as a conduit between the SCAF and Washington, meaning a very minor role at best—the SCAF have more than enough contacts of their own in Washington to be able to gauge the likely response from the White House. So one can understand Israelis taking offense at the suggestion. It’s a well-worn trick in the Muslim world. As much as Israel really does, it also serves as a convenient scapegoat when things go wrong. Unless Erdogan reveals his “evidence” there’s no reason to think this is anything but another case of such scapegoating. But that hardly rises to the level of hate speech, much less Nazi propaganda. How many times have intentional lies been told in order to deflect attention from a government’s failures, demonize the enemy and make political gains? Whether that be Saddam Hussein’s “mobile laboratories” of weapons of mass destruction, Mahmoud Ahmadinejad’s falsified threat to “wipe Israel off the map,” or the endless conspiracy theories about how Israel is behind everything that’s wrong with the Middle East, it’s all just politics as usual. And many such lies have, as we can see, carried much graver consequences than Erdogan’s. And it is worth wondering why it is that when Stephen Fry makes a perfectly apt comparison between Putin’s incitement to hate and violence against LGBT folks and how the genocide against Jews (and so many others) started in Nazi Germany, Jews get up in arms. When Lieberman, himself a dyed-in-the-wool fascist and who is also a Jew and should therefore be expected to treat the Holocaust as more than a political tool, makes a completely specious and ridiculously hyperbolic comparison to the Nazis, there is, at least so far, not a peep of protest. I wait to hear from Abe Foxman on this one, and maybe he’ll surprise me and come through. I expect, however, to hear only the chirping of crickets.